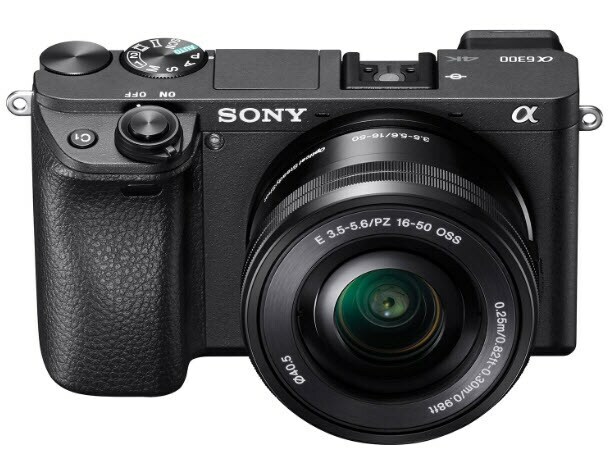 Just one year has passed since the Japanese camera manufacturer has introduced the successor of its highly acclaimed Sony A6000. In such a short time the Sony Alpha A6300 has established itself as one of the most reliable multi-purpose mirrorless cameras in its price range. The richness of possibilities and features the A6300 offers makes it attractive to multimedia image-makers who want nothing but the finest image quality available. The Sony Alpha A6300 is characterized by its speed and its ability produce fantastic still images and crystal clear videos. The Sony Alpha A6300 has a magnesium alloy body that is designed to last and endure the wear and tear of the everyday use. The camera also has protection against dust and moisture that makes it a perfect companion on demanding locations. The A6300 is relatively small in size, its dimensions are 120.0 X 66.9 X 44.8 mm and incredibly light with the weight of just 404g with battery and memory card, but its sturdy body works perfectly with large lenses. The 3-inch 921.6K-dot LCD screen that can be tilted is equipped with White Magic technology with an RGBW pixel structure that increases the LCD's brightness and improves its performance in daylight conditions. The XGA True Finder 2.36M-dot OLED electronic viewfinder offers a 100% shot coverage and it also features a 120fps mode that enables you to track moving objects effortlessly. The quality of Sony's cameras cannot be praised highly enough since the famous camera brand has been at the very top of the photo and video camera industry for so long. Nothing has changed in that respect with the launch of the Sony Alpha A6300 model because this mirrorless camera has since proved that it is capable of delivering outstanding images even in the most demanding locations. The Sony Alpha A6300 has a uniquely designed 24.2MP APS-C Exmor CMOS sensor that employs thin copper wiring and amplified circuit processing that increases its light-gathering abilities, expands the readout speed that enhances the camera's video recording potential and reduces noise generated by high ISO values. The camera's all around performance is additionally boosted by the well-known BIONZ X image processor. The sensor and the image processor allow the ISO sensitivity values 100-25600 to be expanded up to 51200 in situations when the light is in short supply. The camera's 4D focus system further contributes to the clarity and accuracy of the images A6300 produces. The Sony Alpha A6300 4D focus system has 425 on-chip Phase-Detection points as well as 169 Contrast-Detection points that enable the camera to focus the image in 0.05 seconds. The high density of focusing point allows the Tracking AF technology to track moving objects, even in the low-visibility conditions, which can be quite useful when filming outdoor scenes. The more experienced photographers and videographers can benefit from the Peaking MF feature that makes acquiring perfect manual focus much easier. Even though A6300 utilizes only the E-mount lenses the Phase-Detection is enabled on A-mount lenses that can be attached to the camera via LA-EA1 or LA-EA3 lens adapters. The camera can record UHD 4K videos internally at 30fps maximum frame rate at the 6000 X 3376 resolution. The external recorders can also be used via the HDMI connector for uncompressed and clean 4K recording with 4:2:2 sampling. The Sony Alpha A6300 can record Full HD 1080p videos with maximum frame rates as high as 120fps, while slow motion Full HD videos can be created at either 30p or 24p. The longest video clip length A6300 can capture is 29:59 minutes and a time code is available to those users who want to record hours, minutes and frames on image information in order to make the editing process shorter and easier. The Sony Alpha A6300's dynamic range can be extended up to 1300% by using S-Gamut3.Cine, S-Log-3 or S-Gamut3/S-Log3 options that provide smoother colors, while enhancing clarity of the shadows. The S-Log3 gamma option supports a 14-stop dynamic range and provides almost complete control over the highlights and shadows of the images. These features can be extremely useful when shooting in broad daylight or any other kind of light that creates high contrasts. The camera also has a Dynamic Range Optimizer that can further improve images on which details can be easily lost in highlights and shadows. Besides being a powerful video recording tool, the Sony Alpha A6300 is also an above average photo camera that can create still images in resolutions as high as 6000 X 4000 pixels. The users can choose from a large number of picture effects and creative styles that will automatically adjust the camera settings in accordance with the demands of the scene. Photographers who wish to take their pictures in noise-sensitive areas can utilize a Silent Shooting mode that uses an electronic shutter feature to make the entire process completely silent. The camera is equipped with a built-in flash, but it also has a Hot Shoe and Wireless options that enable external flash use. With one of the best sensors in the world and more than a capable image processor, the Sony Alpha A6300 is probably one the best performing cameras of its kind. The Sony's mirrorless camera can create in continuous shooting modes 11 24MP raw format frames per second and up to 21 frames in one session, which clearly demonstrates its image processing abilities. The camera utilizes a state of the art Autofocus system that makes the otherwise complicated process of keeping images in focus pretty simple. The Sony Alpha A6300 is a mirrorless camera that performs well in studio conditions as well as at outdoor locations that demand a versatile dynamic range and high ISO sensitivity. Both, highly experienced users and those who are just learning their way around the photo and video equipment can benefit from obtaining this camera because it can deliver stunning image quality even in auto modes that don't require a great amount of technical knowledge.